In the late sixties the Monarchs' teams were greatly enhanced by two superb Scandanvian riders who both made the World Final - Bernie Persson from Sweden and Reidar Eide from Norway. Reidar joined early in 1966 after injury to Henry Harrfeldt and before long was a cult hero - scoring maximums, setting the track record. Reidar left after a dispute in September but was back for 1967 and the two Coatbridge seaons in 1968-9. 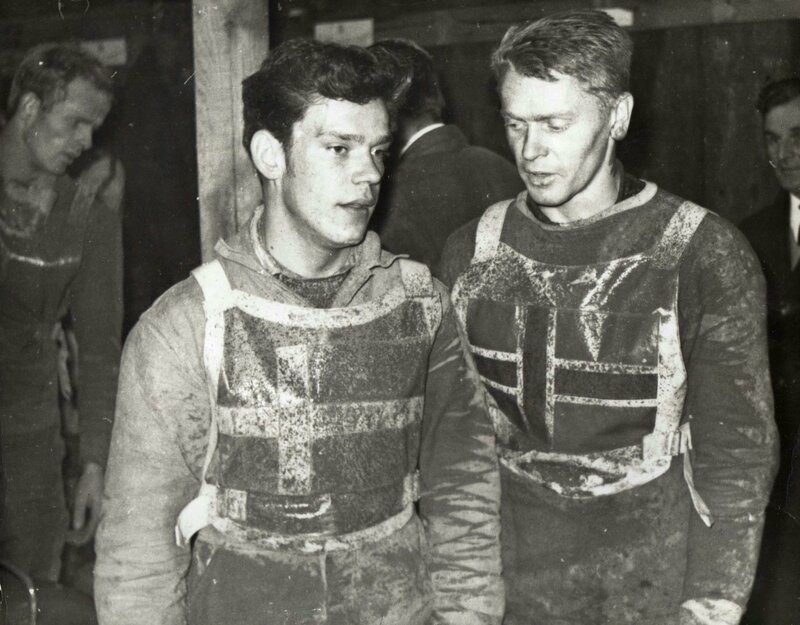 Bernie Persson first rode for us at the end of 1965, then after a year of Swedish National Service returned for two geat years in 1967-8, making the World Final both seasons. This picture is probably from the 1967 Scottish Open in which Bernie came third after a run-off with Barry Briggs and Ray Wilson.